Automotive manufacturers including KIA and Porsche and hundreds of auto manufacturing suppliers have located in Georgia because of the state’s trained workforce, competitive business environment and access to interstates and ports. Georgia now has more than 250 automotive manufacturing facilities employing almost 18,000 workers, according to the Georgia Department of Economic Development. But the growth of the auto manufacturing industry in Georgia has led to an increase in the number of Georgia workers who have experienced automotive manufacturing injuries. Georgia workers who are injured on the job are entitled to workers’ compensation benefits. A serious injury can force you to be out of work for weeks or months. A catastrophic injury such as amputation of a hand or foot or a serious third-degree burn may leave you with permanent disabilities and require physical rehabilitation. Georgia’s workers’ compensation system pays for medical care, prescription drugs, physical therapy and replacement of lost income if you cannot work, no matter whose fault the accident was. Companies are required to post in a common work area a list of at least six doctors who are authorized to treat on-the-job injuries. Workers may select the doctor who provides their medical care from the list of doctors posted by the employer. Employers have a responsibility to provide workplaces that are safe and free of known hazards, but some companies cut corners on safety to save money. But a number of injuries at auto supply manufacturing plants in Georgia and other southeastern states has attracted the attention of federal workplace safety inspectors. 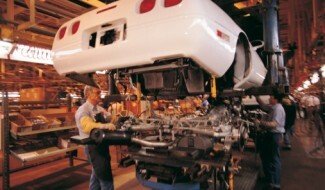 In 2014, the Occupational Safety and Health Administration announced that its inspectors will target the automotive supply manufacturing industries in Georgia, Mississippi and Alabama for comprehensive inspections because of the serious injuries that have occurred, including amputations and deaths. The aim of the stepped-up inspections is to provide safer workplaces for workers. If you or a family member has been injured on the job, you deserve full compensation. It’s important that you understand you legal options. At Parsons & Associates, P.C., our workers’ compensation attorney will review your accident and explain your legal rights at no charge. We fight for the full benefits that injured workers deserve.